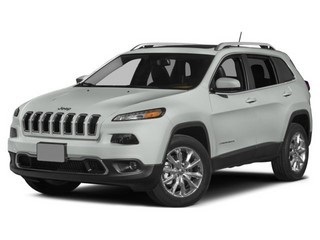 The 2016 Jeep Cherokee near Las Cruces thoroughly showcases Jeep’s passion for adventure. In an extremely competitive crossover SUV segment, the Cherokee stands out by offering affordability, comfort, and fine appointments. Its rugged vibe is perfectly balanced by modern and civil styling. Further distinguishing it from the competition is Ford’s world-famous off-road capabilities. Combine these with spacious interiors and a generous serving of tech features, and you’ve got a confident frontrunner in this model. The 2016 Jeep Cherokee from Las Cruces arrives with the standard 2.4-liter 4Cyl engine producing 184 horsepower plus 171 lb.-ft. of torque. Available is a robust 3.2 liter V6 engine rated at 271 horsepower with 239 lb.-ft. of torque. Either way, the nine-speed automatic transmission provides an impressive departure from the average. Posted on March 17, 2016 by CedrickPosted in BusinessTagged 2016, cherokee, dealer, jeep, las.